As the only veterinary clinic in Crenshaw, the Angeles Vista Pet Medical Center staff has their work cut out for them. The Angeles Vista Pet Medical Center embodies its own mission statement each day, by providing consistent, intimate care to pets in the Crenshaw area. In fact, Angeles Vista Pet Medical is the only veterinarian clinic in the area, allowing them to shape the world of pet care for locals. Although the employees of Angeles Vista are unsure of why they may be the only clinic in the area, residents in neighboring Inglewood might have caught onto the idea. With the new NFL stadium breaking ground in Inglewood, many residents are being forced out of their homes into surrounding areas, like Crenshaw. “Economically vulnerable communities of color experience disproportionate impacts of gentrification and are often left to live in harmful environmental conditions,” according to Dr. D’Artagnan Scorza, the founder and executive director of the Social Justice Learning Institute. This applies equally to the residents of Crenshaw, which does not encourage entrepreneurship in the area. Those living in Crenshaw aren’t expecting new businesses to pop up anytime soon. Angeles Vista Pet Medical is situated in a small, but cozy, building off of Crenshaw Boulevard. There’s nothing flashy about the building, inside or out. The signage on the front of the building reads “Veterinarian,” in capital, red letters. The faded blue welcome board is barely legible. A receptionist’s dog takes bathroom breaks outside the office in a small, caged area. But what the clinic lacks in presentation, it makes up for in charm. "The staff here are always so gentle with my dog, Mason. We’re lucky to live so close to the clinic in case of emergencies, too." Brian, concerned about the mental state of his golden retriever, Mason, visited Angeles Vista for the therapeutic services they offer. Seeing animals for therapeutic reasons is not uncommon, according to Palmer. Among dental care, pharmaceutical care, permanent identification and surgery, therapy is among Angeles Vista’s most common services. The medical center is primarily run by Dr. John Hardy, who inherited the business from his father. Dr. Hardy boasts an undergraduate degree in biology from Tuskegee University in Alabama. He later received a doctorate in veterinary medicine from the Tuskegee University School of Veterinary Medicine. True to its size, Angeles Vista Pet Medical Center cannot perform every procedure a client might expect when they walk through the doors. The center has a very sound plan of action. Depending on the procedure itself and facilities needed, Angeles Vista will seek out a local practice nearby. They work closely with the clinic to ensure the animal is given the same standard of care as it would at Angeles Vista. As the only veterinarian clinic in Crenshaw, Angeles Vista has a big role to fill. There’s no rhyme or reason as to why there are not more veterinarians in the area, according to employees of the Angeles Vista. However, Dr. Hardy’s assistant, Gavyn Palmer, says the exclusivity is a good thing. The treatment Angeles Vista provides is clearly special. From scrolling the clinic’s Facebook page, clients are thrilled when reunited with their pets. The medical center is working to establish its own twitter account to share stories and photos of clients and their pets. 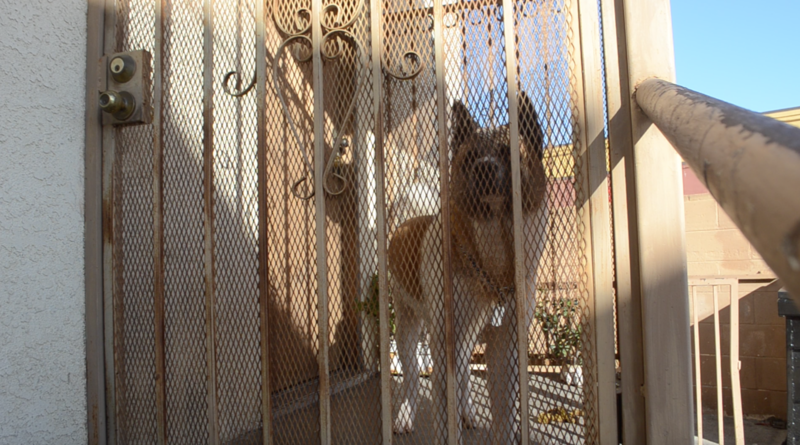 The next closest pet care centers are located in Inglewood, Beverly Hills and Huntington Park. In the case of an emergency, Crenshaw locals are lucky to have a veterinary clinic in their area. 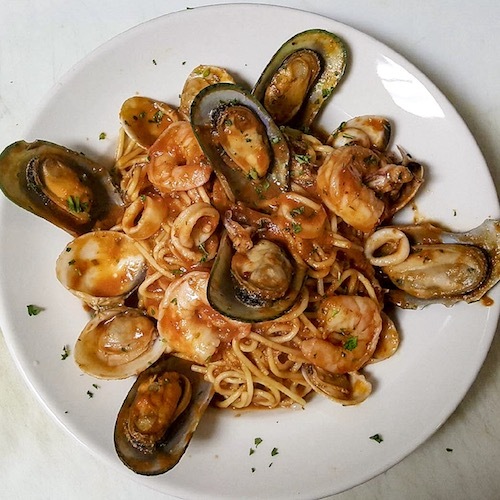 Discover authentic Italian cuisine in Baldwin Hills. Rodolfo Santiago’s Coliseo Pizzeria in Baldwin Hills is a neighborhood favorite. For years, the Baldwin Hills food scene was dominated by fast food. A sit-down diner opened last year, but not without plenty of resistance and obstacles from the community around it.